A few short weeks ago I met this beautiful couple for a maternity photo session at Meadowlark Botanical Gardens; the weather was great, we got to use several adorable props and ideas for some of the shots and everybody had a great time! It was still a couple of weeks before cherry trees bloomed in Meadowlark, but we managed to get some beautiful flowery and sunlit backgrounds so beautiful for belly pictures! Isn’t this expectant mom just glowing? LOVE the happy mommy look! Here, I told them to just hold an empty frame and I could photoshop in any message/words/due date. And then I changed my mind and asked mommy to scribble the due date – oh my! – I totally love her handwriting and art! As I am writing this post, I am happy to report that their little baby born was a week before the due date and I met them for the newborn session at my McLean studio this week! The little man was super handsome and did so well during the session – I can’t believe how many different setups he let me photograph and I can’t wait to show mom and dad all the beautiful shots we got! Ready for my big news? This has been a couple of months in the making and I’ve been dreaming it up for quite some time. Over the last year, I felt like my photography work has outgrown the current home photo studio arrangement and I am in need of a bigger, permanent, professional studio space! Today everything finally came together! This morning I signed a lease for a space to open my own professional photography studio in McLean VA. It will be located in the heart of McLean, in McLean Professional Park, and will offer full studio services for pregnancy, newborn, baby, children and family photos. It is conveniently located for all my Northern Virginia clients within and outside of the Beltway, in a beautiful professional community that caters to small businesses like mine. Besides the photography studio space, the suite offers full amenities, including a kitchen, a bathroom (with a shower), and free wifi. I am soooo excited! I’ll be moving in next week and will be ready to welcome my first clients in early February!!! Now, that I feel somewhat caught up with some of my editing (all newborn clients’ proofs are online and only four mini sessions left to edit!!! ), at least until the new round of newborn and outdoor family sessions starting on Wednesday and through the end of the weekend, I’d like to take a few minutes to post some beautiful shots from one of my most favorite sessions from this fall. Mom and Dad wanted a photo session to celebrate their daughter’s first birthday and we decided to go to Meadowlark Botanical Gardens in Vienna VA (one of my most favorite photography locations and the one I always recommend). We were lucky to have gorgeous fall weather (after a morning of stormy clouds and strong winds), “golden hour” light, and little miss M. cooperated really well throughout the shoot, going through a couple of setups and family pictures as well as individual portraits with mom and dad. And a last-minute “walking” shot – turned out perfect! I currently do not have any more openings for full or mini sessions until mid-December, but if you are ever up for some “winter and snow fun” pictures out in Meadowlark (and I do hope for some snow this winter, yes) – just shoot me an email either at chasingmoments@gmail.com or through my newborn and family photo website (go to pricing/book your session page and scroll down) and I”ll be happy to shoot! My winter months are not as busy for outdoor family photo sessions, and if there is snow – I’ll make my best to make your “snow day” photo session happen! Thought I’d share some of my favorites from a recent family session I did at a small park near Dulles Town Center. It is basically a green field framed by rows of trees, adjacent to a playground (great for families with kids because we can walk over to the playground for some candid shots of the kids after the more formal family photos). Just a couple of weeks ago it had beautiful fall foliage, and I was lucky to capture some of it for the several family sessions I did there. Family G. wanted to get some nice family photos for the holidays and to share with family and friends, but since they have two active little boys the session was a combination of posed, lifestyle and semi-posed shots. I had them sit down and pose for family shots when I felt the kids were ready (while keeping the boys busy with a book and some toys), and they got to have some fun playtime with Mom and Dad in-between – I had some trains set up for them, and they also had fun with Mom and Dad reading, running around and playing at the playground. I think everyone (including myself) had a great time! While there are many beautiful outdoor portrait photography locations in Northern Virginia, very few compare to the beauty of Meadowlark Botanical Gardens! Whether you are planning a family photo shoot, a baby’s “one year” pictures, or a seasonal mini session, Meadowlark is hard to beat. It’s got beautiful landscaping, something in bloom throughout most of the year, great structures and nooks for pictures, and a gorgeous backdrop of a lake. Meadowlark sessions are also an experience! Usually I suggest that Clients with young kids bring a stroller and come prepared for a nice walk through the Gardens and around the lake. This was weekend I went to Meadowlark to do “mini sessions”; the weather was gorgeous and I was so happy to capture beautiful, glowing fall colors! And I felt super lucky to have met some new wonderful families and to reconnect with past clients. The portraits below are of a family who I loved seeing again! Just a few short months ago I photographed this beautiful little girl (and her Mommy and Daddy) for her newborn pictures, and I was just so in awe to see how much she’s grown and what a happy sweet little girl she is. I love my job! Fall is gorgeous this time of year, I love doing outdoor photo sessions against the backdrop of yellows, reds and oranges! Fall pictures have a beautiful seasonal glow, and warm tones of fall portraits are just gorgeous. I do miss the greens of summer sessions, so I thought I’d catch up on some of my blogging and post some pictures from my summer sessions. I met this family in June for a family photo session at Green Spring Gardens in Alexandria, the weather was great for an outdoor session, but due to the bright afternoon light of the mid-day session we had to be picky with the shooting spots and did not get to use the entire park (and there was also a wedding going on at the Gazebo…). Still, I think we got some beautiful family photos, and I know Mom and Dad loved them! I am trying a new, more photojournalistic and collage-based style of blogging for the outdoor sessions, I think I like it! Between doing photo sessions for newborns and families and getting images retouched and ready for clients, I find little time to be a thorough blogger. Today, I really want to show a sneak peek from the family session I did this morning at the Ellanor Lawrence park in Chantilly, VA. The one shot Mom wanted to get was of her handsome little guy smiling, especially, as she mentioned, given that he may be a bit shy with strangers. No worries, Mom, as I was uploading pictures from the session onto my computer I took a quick look at the images and found so many wonderful, heart-warming smiles!!! Love this one! Not so long ago I posted a sneak peak from a family photo session in McLean and noted that Mom did an amazing job picking outfits for the entire family. So, I thought I’d write a post with pictures from the photo session and offer my take on what to wear to a family photo session along the way. First off, I always recommend consulting with your photographer regarding outfit choices prior to the shoot. She may have her own style, likes, dislikes and recommendations. I, personally, will help my clients with outfit choices as much or as little as they want me to. If you are reading this – thank you for staying with me through the long post with so many images! Cheers! 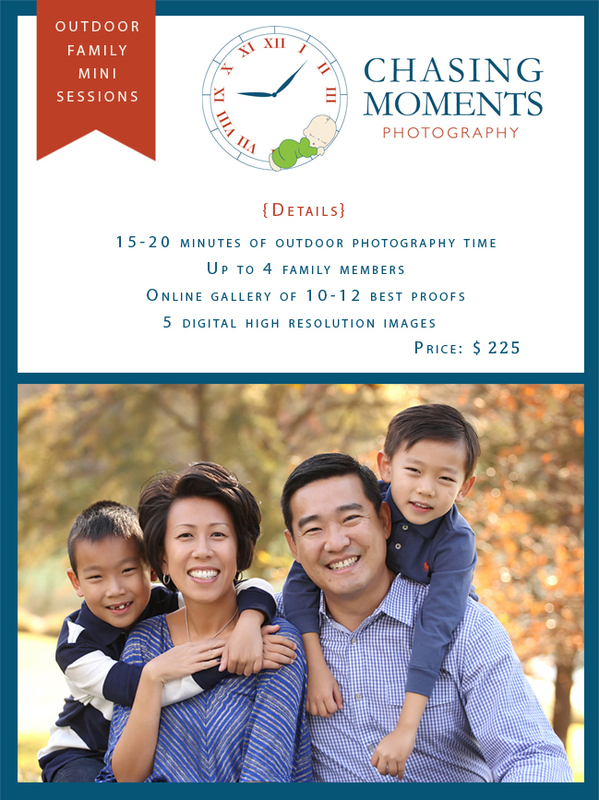 Many of my clients who book outdoor family session choose a “park” location for their shoot. Northern Virginia offers photographers (and their clients) plenty of wonderful parks suitable for any taste – large and small, wooded or not, with or without playgrounds, gazebos, flowers, and so on. I personally love-love-love parks for outdoor sessions involving families with young children (especially toddlers)Â – kids can play, run around, blow bubbles, and have fun with their parents. Needless to say, parks are not “the only” or “the best” option for an outdoor session with your photographer. There are many alternatives to choose from, one of my favorite local options is Fairfax Corner. It offers a good combination of “greenery” and “flowers” for some shots as well as more urban look for others. I usually meet my clients at the fountain plaza in front of the movie theater (great! in summer if you are looking for some really fun summer shots of your kids playing in the fountain). Here are some collages from a family photo session I did a couple of weeks ago at Fairfax Corner (I also posted a sneak peak earlier as well). Then I did some sequences with Mom and Dad and each of the kids. Below are my faves. Some of the collages I put together are “fun”, “action” shots.Â I especially loved how both kids really-really wanted to play with Mom’s gorgeous hair We did get some beautiful, traditional “smiling and looking at the camera” shots as well. This sweet baby boy cooperate really well and gave me tons of smiles and wonderful shots. Mom also brought this awesome hat for the shoot and Baby had so much fun trying it on! Some of the above portraits of Baby in the making: the hat was obviously a bit too big so it would slide down over his eyes (which was so funny!) and he’d try to crawl away from our little “set” with the hat like this. Of course, Mom was standing nearby to pick him up and place him on the blankets (all the while keeping him happy and entertained and shaking his toy to get his attention). AsÂ you can see from the above shots, Fairfax Corner has several wonderful setups to offer photographers and clients – beautiful wooden yellow wall with shutters, textured concrete sidewalk with a brick wall, raised flower beds -all offer different setups for a variety of images! More to come soon! Thanks for a great session today, family M.! A couple of weeks ago I posted a sneak peak for my photographer-colleague Jessica, along with a mini story about how our family photo session exchange came about (Jessica also posted a sneak peak from our session on her blog). Now I’d like to show a few more images from her portrait session and offer my readers an FYI for when they work with a professional family photographer. Jessica knew exactly what types of images she was looking for. (Being a photographer and all) she found herself not being in pictures with her husband and kids very often so she was looking to do some family portraits and some pictures of her with the kids. Also, note how well Jessica picked the outfits for the entire family – matching pink elements for the girls and matching green for the boys. 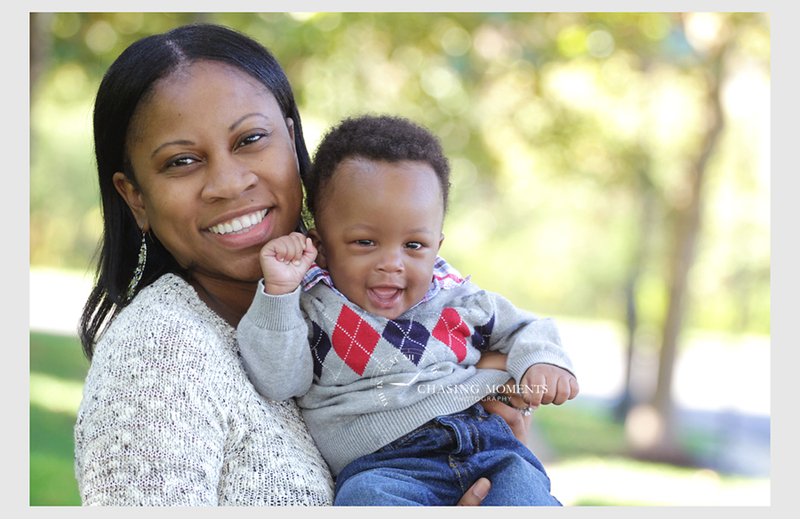 Thank you for the experience Jessica, you were a wonderful model and your family – so fun and easy to photograph! Thanks for a great session, family H.! Spring is definitely in the air! Yesterday I was lucky to photograph cherry blossoms at full peak bloom at the Meadowlark Botanical Gardens, in Vienna, Northern Virginia. “Lucky” because yesterday was a Friday, not my typical day for outdoor photo sessions, and because it is supposed to rain all weekend, which may ruin some of the gorgeous cherries and blooming flowers. Late March-early April is the time when cherries bloom throughout the areas and everybody heads outside to enjoy them. As I mentioned in an earlier post, I usually recommend not going to the Tidal Basin in Washington DC for an outdoor photo session with cherry blossoms because intense overcrowding makes it very difficult to get a good photography spot and to get clean, uncluttered shots. Instead, I LOVE going to Meadowlark, where there are tons of gorgeous flowers in bloom right now (daffodils, tulips, magnolias, cherries, to name a few). It is a large park with lots of shaded walkways, benches for resting, a lake (and a couple of smaller ponds) and none of the overcrowding. This is my favorite area for photos:Â bright and colorful red and white doors. A must-have for Glen Echo sessions and so much fun for kids who can play peekaboo in the door frame! If you like this location and are looking for an affordable professional family photographer in Northern Virginia or Maryland for your outdoor session, please do not hesitate to contact me with any questions! I also have some general FYIs for photography clients regarding on location/outdoor photo shoots.